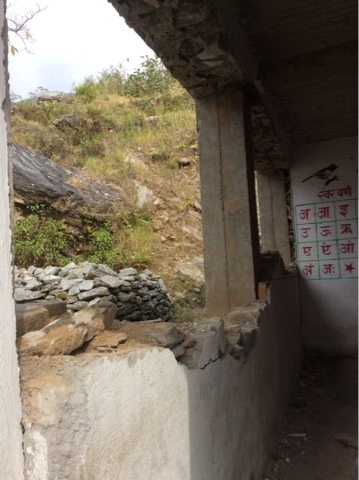 After breakfast we set off to 3 other villages to assess the earthquake damage, the trail had been repaired in several places where it had been blocked by landslides both from the earthquake followed by the monsoon. We felt a certain anxiousness as we crossed the river where a new bamboo bridge had been erected, I noticed how much the waterfall flowing down from above had changed since my last visit, and new water pools had formed further down, the forced of the earthquake to move such massive boulders is hard to imagine. On our visit we were joined by my guides wife and daughter, our first stop was to inspect their damaged home. Mixed emosions followers as we arrived at their home that was newly built 3 years prior. The damage is so extreme that like most other homes in the area it will need to be demolished and rebuilt. 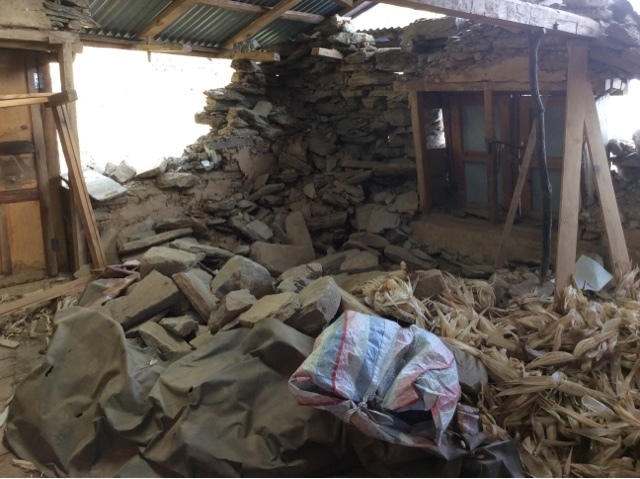 Thanks to many of TBs clients who have requested that their donation go towards rebuilding the family home, a small dwelling can begin to be erected and completed within 6weeks, the family will then be able to return to their farming community. We then continued our hike to visit Shree Baseri Secobdary School, on the way seeing so much devastation and sadness on the faces of the people. They looked at us with hope that we may be able to help them rebuild their lives, but one can only do so much, our hearts are heavy with sadness for their loss. 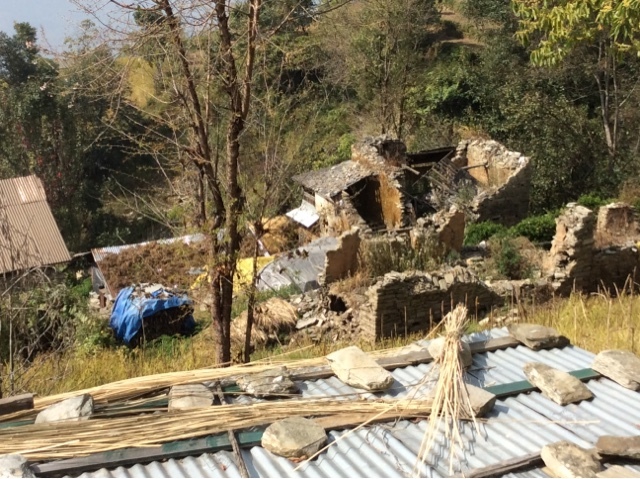 Arriving at Shree Baseri Secondary School I was relieved to see that very little damage had been done. 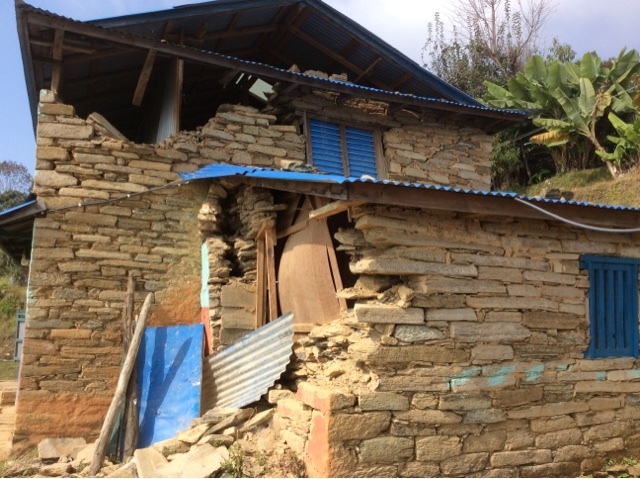 The new building that was financed from donations from LEPS had two side walls collapse, but apart from that the school seemed relatively unscathed. Unfortunately the sports masters home taken a beating, Jaye and his wife were both in the house when the earthquake struck and were lucky to escape unhurt physically, but emotionally they have been very badly effected from their near death experience. 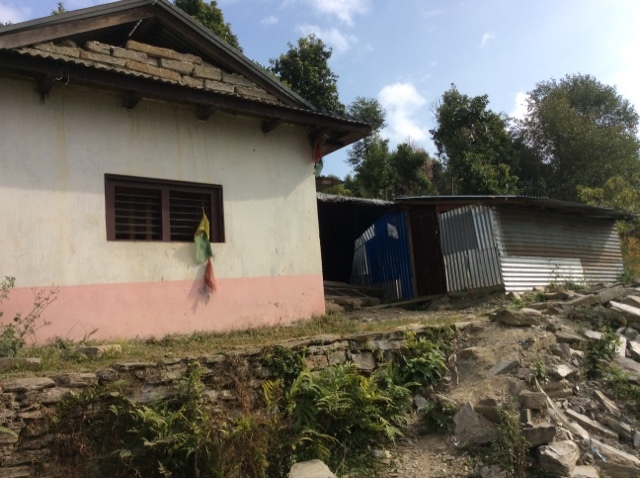 Further on we visited the Baseri Health Medical Centre which was badly damaged, and will be rebuilt as soon as possible, thanks to the help Sita Garung a local who is now living in Washington DC. Further up the hill we visited the site where once was. 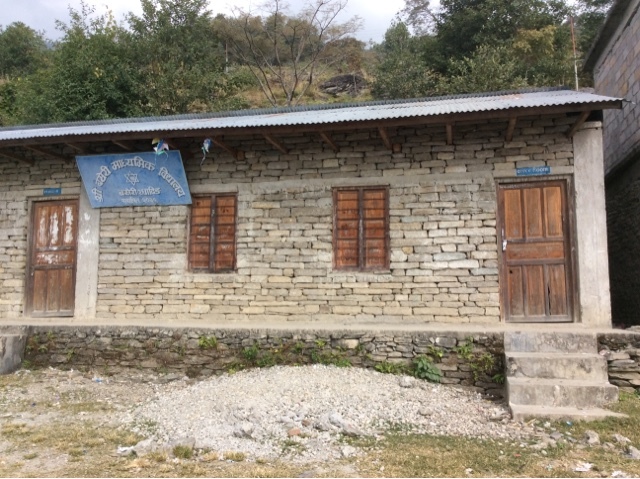 This little school was next on my list to help renovate before the earthquake, now it will take some time before we can raise further funds to help these children. 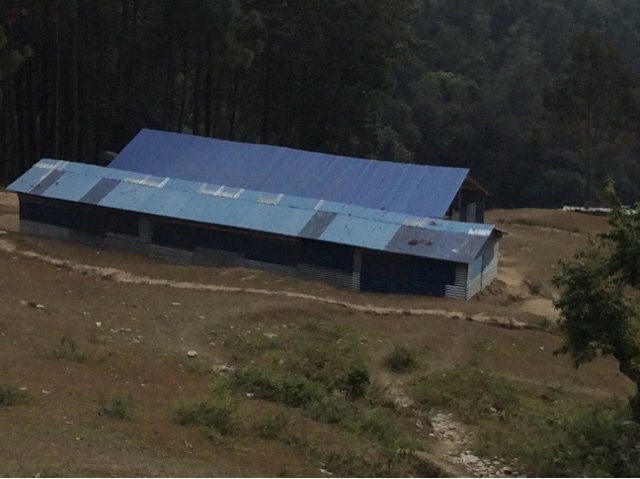 We are so impressed in how the locals have been so proactive in erecting temporary schools. We then returned to our campsite via the same trail deciding on the way to brave it by taking a very refreshing and invigorating bath right in the middle of a where the earthquake changed the water course, believe me it was our fastest wash ever! But we all agreed that if we were all to go to heaven that day we would be cleansed.